If you’re on the hunt for used car deals around Sacramento and Roseville, Kareem Auto Sales Inc has exactly what you’re looking for. Whether you’re looking for used trucks like the Toyota Tacoma or the Ford F-150, used SUVs like the Highlander, or used sedans, we have what you’re looking for at the right price, and with flexible car financing to boot. You’d be hard-pressed to find a more diverse and affordable selection of pre-owned vehicles on any used car lot in Sacramento! 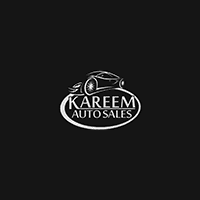 Check out our inventory of used vehicles, including a variety of makes, such as used Ford and used Chevrolet models, and then reach out to Kareem Auto Sales Inc to learn more about trading in a car or setting up a test drive. Why Visit Our Used Car Dealership in Sacramento? With a vast selection of certified pre-owned vehicles from all major makes and hundreds of gently used cars, you’re sure to find the vehicle you’re looking for at a monthly car payment tailored to your budget. Searching for cheap used cars in Sacramento? Check out our array of vehicles priced under $5,000! We regularly update our list of ongoing used car specials, and our auto finance department can make sure you take advantage of every car incentive under the sun. When you select a vehicle from our used car dealership in Sacramento, we’ll make sure that your auto payment is as low as it can go. Need to learn the difference between used and certified pre-owned? Consult Kareem Auto Sales Inc’s helpful guide before you start your search for cheap used cars near Sacramento.